One day while young Tom Edison hands out sandwiches on the Mt. Clemens railroad platform, he sees the station telegraph operator's son, Jimmy, playing on the track. When a boxcar comes rolling toward Jimmy at top speed, it's Tom to the rescue -- and the deed is rewarded with some telegraph lessons that will change Tom's life forever. 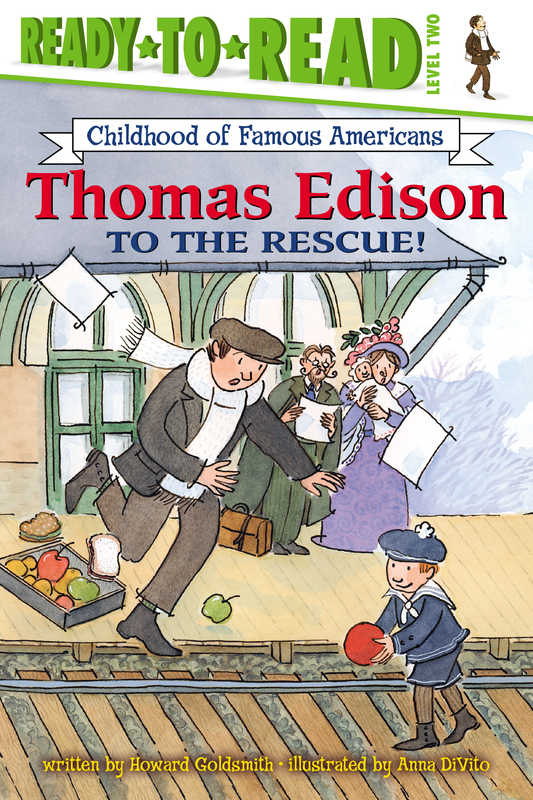 Book Cover Image (jpg): Thomas Edison to the Rescue!